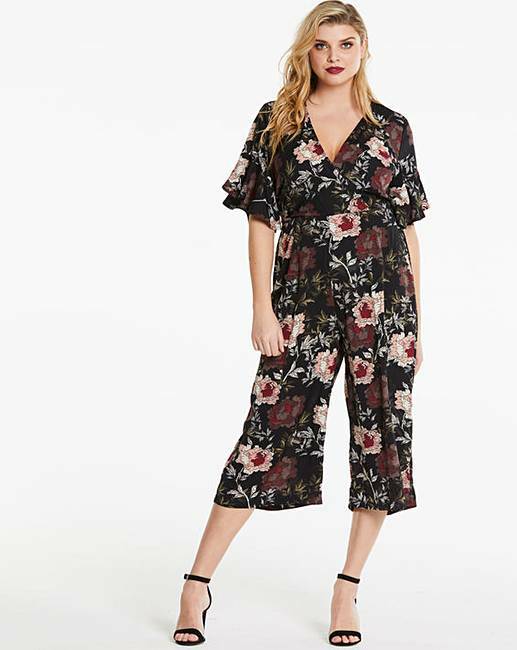 AX Paris Curve Print Jumpsuit is rated 4.0 out of 5 by 2. 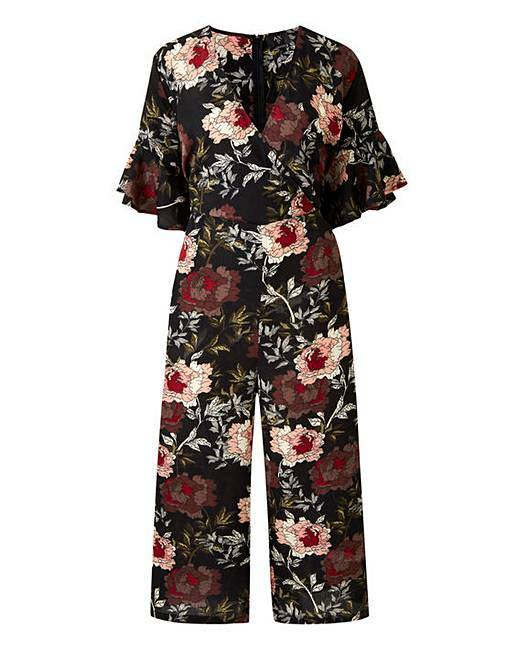 Party all night in this AX Paris Curve floral wrap-front printed jumpsuit featuring frill detailing on the sleeves. Style with some barely there heels and some gold or silver jewelery to complete the look. To fit inside leg 30in/76cm. 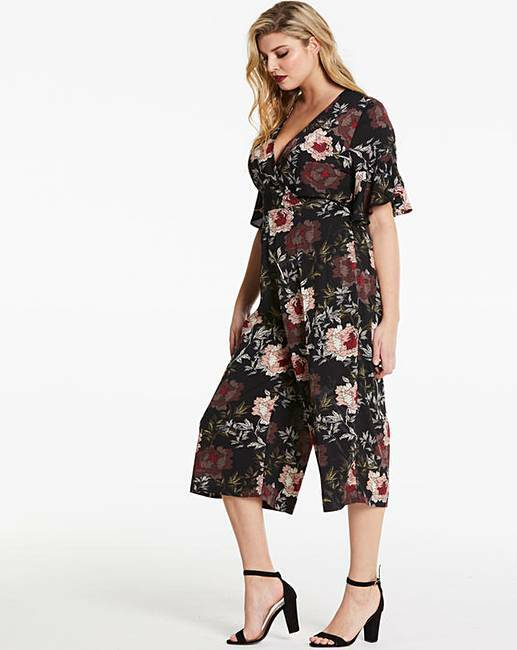 Rated 5 out of 5 by Helly1 from Lovely Jumpsuit - Very Pleased This is a lovely jumpsuit. Excellent colour and quality. I bought a size 16 and it fits really well and very flattering. If you have a larger bust it will need to pinned unless you wear a cami underneath as it is quite gappy. Overall very happy and would definitely recommend.